The number of Philippine students studying abroad is up sharply in recent years, fuelled by a rapidly growing economy, high levels of youth unemployment, strong outbound migration, and a strengthening field of education agents. A little more than a decade ago, in 2001, there were just over 5,500 tertiary-level Filipino students enrolled abroad. By 2012, outbound enrolment had climbed to 11,210 with much of that growth occurring in the period 2006-2012. Major destinations include the US, which accounted for 27% of outbound enrolment in 2012, Australia (21%), and the UK (12%). While the US remains the leading destination, some reports suggest that both the UK and US are losing market share in recent years as Philippine students began to look at alternative destinations in the wake of the global economic crisis of 2008, and concerns that arose from that period about the health of the US economy. As the following video reflects, the programmes most in demand among Filipino students include business and management, health sciences, social sciences, and the arts. The population of the Philippines is approaching 100 million, and is projected to pass 128 million by 2030. However, population growth has slowed in recent years and, as a result, the population will skew somewhat older by 2030 with those aged 0-14 accounting for 27% of the country’s population by that point (as opposed to 33% in 2010). Even so, the Philippines is projected to have one of fastest growth rates in higher education participation among emerging markets this decade. The British Council estimates that 700,000 additional Filipino students will pursue tertiary education by 2020, a 26% increase over 2010 levels. The Philippine economy took off in 2012, growing 6.6% that year compared to a more modest 3.9% growth rate only a year earlier. It has maintained the same lively clip through the first half of 2014, and was the fastest-growing ASEAN economy in 2012 not to mention the second-fastest in Asia (outpaced only by China that year). The Philippine education system has been the focus of considerable reforms in recent years, both in its K-12 system and in higher education. Of particular note has been the expansion of the secondary education system to include two additional years of study. Students now study for 12 years of basic education, rather than under the previous 10-year system, a move that has led the government to dramatically expand school facilities and to projections that 81,637 additional teachers will be required for Philippine schools in the years ahead. This systemic change effectively removes a serious historical impediment to outbound mobility: the basic education qualifications of outbound students. In June 2014, they unveiled new legislation (the Ladderized Education Interface Act) to allow vocational education and training (VET) students and graduates to transfer VET credits towards degree programmes at universities. Also in June 2014, they revealed plans for the expansion of distance learning services within the country (the Open Distance Learning Act) and measures to harmonise grant and scholarship programmes (the Unified Student Financial Assistance System for Higher Technical Education Act). These reforms are designed to improve the competitiveness and quality of the education system. It remains to be seen what impact they may have on outbound mobility, particularly in relation to broader shifts in demographics and economics that are in play in the Philippine market this decade. Another impact to watch closely will be the extent to which such measures further boost the appeal of the Philippines as a regional study destination. 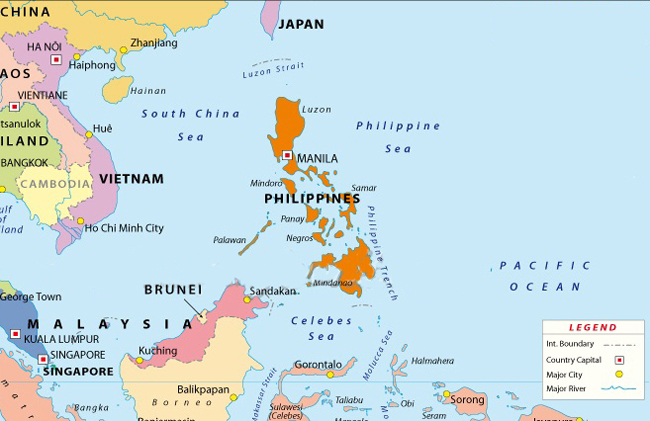 With its expanding education system, affordability, and widespread use of English, the Philippines continues to emerge as an important education hub in Southeast Asia and to attract increasing numbers of students from across the region. This entry was posted in Asia, Higher Education, K-12, Philippines, Regions, Vocational and tagged student mobility, postgraduate student recruitment, high schools abroad, online education, blended learning.